Want to book you car rental in Skiathos? This is the right place! Search our booking engine for car rental in Skiathos and find out the best vehicle for your holidays on the island. Car rental Skiathos will give you the opportunity to discover this lovely place easily and conveniently, at your own time. Greeka.com offers car rental from Skiathos Airport, Skiathos port, Skiathos center and many other locations. Greeka.com does its best to help you hire a car in Skiathos. We cooperate with many Skiathos car rental agencies and do our best to propose you the best prices available on the market. We cooperate with both local agencies but also with major car rental companies which have branches in Skiathos. A lot of car rental agencies are spread all along Skiathos. The Skiathos car rental agencies we collaborate with are easy to access. They provide a wide range of conveniences to our clients. It will be possible for a car rental employee to deliver you the car at your hotel, the port or any other place. Furthermore, you can choose to pick up the car from a place of your preference, for example from the port or airport the day arrive. Moreover, they will be pleased to give you instructions on where to go and what to see in the region. They usually provide a map in all cars or you can ask for a GPS (upon request and extra charge). Discover some car rental compagnies in Skiathos. Aegean Car Rental is a company that operates on the island for more than 20 years. It offers cars, motorbikes, bikes and quads. Their fleet includes mini cars, compact and larger family cars, small off road cars and MPV’s. Motorbikes and ATV’s are of brands such as Piaggio, Kawasaki, Gilerra, Honda, Yamaha, Kymco ranging in engine capacities. Since 1987, only two years after its foundation, Creator Tours is the branch office of Europcar in Skiathos. The company offers a large number of cars, motorbikes and bikes. The offered car categories are mini, economy, full size cars and jeeps. The available motorcycles that are available for rental, range in engine capacity from 50cc to 250cc. Skiathos Cheap Car Rental is one of the oldest car rental companies on the island. It was founded in 1979 and it also offers other services such as speed boat rentals and accommodation arrangements. Their fleet consists of mini cars, compact city cars and mini SUV’s. Motorbikes are also available for rental. This is a growing local company that has been in the market of car rentals from the late 1970’s until today. 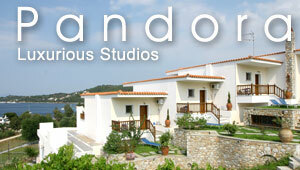 It is based in Troulos beach area but it has also branch offices at the Anghialos Airport and in Volos. Its fleet consists of mini cars, subcompact cars, compact and city cars, open off road jeeps and smaller SUV’s, small vans and cabriolets. Almost all the cars have air-conditioning. The company also rents motorcycles of different categories. Skiathos Cheap Car Hire has a large fleet that includes mini cars, off-road jeeps and cars suitable for groups of up to nine passengers. Motorcycles and scooters of different sizes and capacities are also available for rental. The company offers pick up and drop off at the port, airport, hotels or other locations on the island. This car rental company offers new cars of all types such as manual, automatic cars and jeeps. Bikes are also available for rental while they also provide boat rental services. There is the possibility to pick up and drop off the rented vehicles on the port, at the airport, or any other place on the island. Halivelakis Rent a Car was established in 1997. Nowadays, apart from their office in Skiathos, they have two branch offices in Athens and one in Kythnos. The company offers a wide range of vehicles for all needs, such as new cars, high speed cars, automatic cars, mini buses, luxury sedans or 4x4 jeeps for off road lovers.